The Magnum lift represents the culmination of years of experience in the boat lift industry and the desire to build a better boat lift. The Magnum low profile design eliminates the need for the unsightly overhead beams common to most boat lifts. 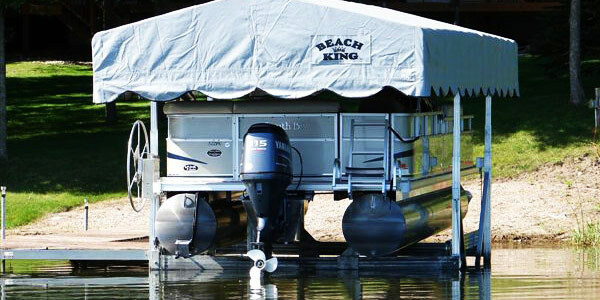 The Most Versatile Floating Boat Lift Perfect for Saltwater. HarborHoist™ is a level-lifting frame constructed of aircraft-grade aluminum. It is the most versatile floating boat lift in the HydroHoist family — perfect for fresh and salt water.